Water Tank & Frac Tank Rentals | Modutank Inc.
Econotank rentals are ideal solutions for short-term liquid containment needs. Econotanks, with capacities from a few thousand to two million gallons or more, are available. Tanks ranging from 50,000 to 100,000 gallons can be immediately shipped to meet urgent outdoor or indoor containment needs. Those varying from 250,000 to 2,000,000 gallons and more are typically shipped within two weeks. For short-term use, Econotank rentals offer substantial savings over outright purchase. However, purchase options are available. Econotank rentals apply to 50,000 gallons through 2,000,000 gallons and over. Call us for water & frac tank rental details on the size, shape and capacity tank you need. Econotanks feature modular components for rapid on-site assembly of standard square or rectangular tanks. Econotanks can also be assembled into L, T, X or any shape with right angle corners to fit your site. Modular hand-carried components eliminate the need for cranes and other lifting equipment. Components compactly stack on standard skids for efficient shipment. A 2,000,000 gallon Econotank ships on a single flatbed. Our free-standing Econotanks are designed for rapid bolt-together assembly by unskilled workers, following an illustrated manual, using standard hand tools. A single bolt fastens adjacent wall panels to their support frame. Modular parts hand carry through doorways for indoor installations. Built-in footing plates make possible free-standing installation on practically any firm, level surface. Anchor bolting to footings is an option. 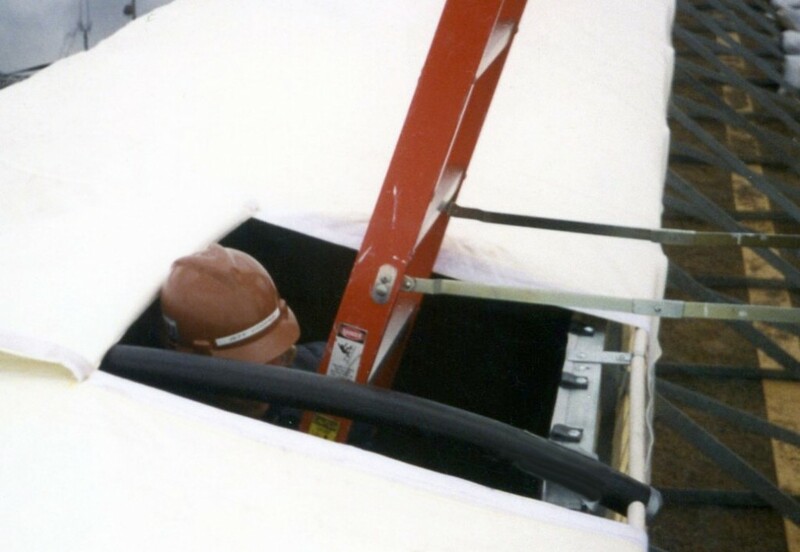 Econotanks can be installed with open tops or enclosed with floating covers. Our versatile, modular Econotanks are available for rent in standard off-the-shelf models and customized units sized and equipped to meet your storage and site requirements. A typical example of versatility is shown in the adjacent photos of Econotanks nested for primary and secondary containment. Secondary liners were fitted into both tanks for additional protection against the extremely hazardous liquid. 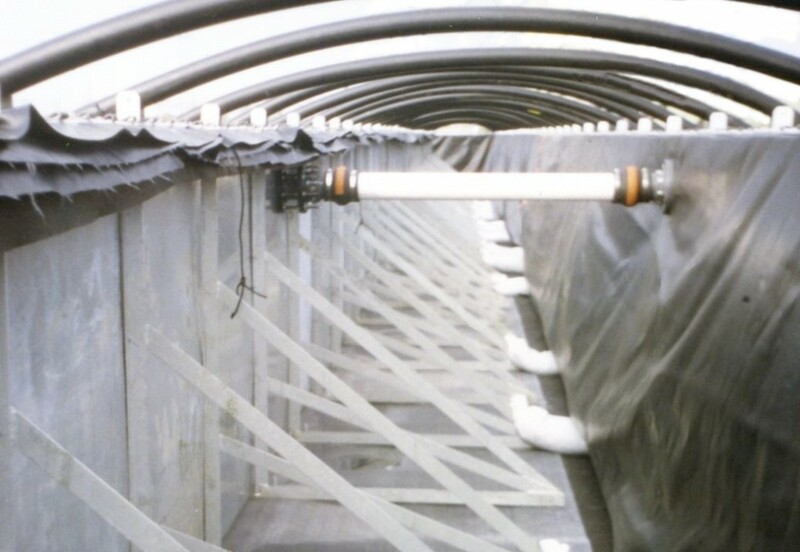 A floating cover sealed the contents of the primary tank, while a customized canopy with access hatches kept the secondary containment area, between tanks, free of debris and rainwater. Through-the-wall inlet/outlet flange type fittings with expansion joints connected both tanks to external piping. See Econotank section for more detailed tank information.